Today is International Women's Day. Women deserve more than a day, more than a month. They deserve to lead. It is more clear than ever we need the wisdom of women's brains to be unleashed in a world with complicated problems that cannot be solved with simplistic solutions. Virtually every week I talk to frustrated women leaders who feel they spend most of their time cleaning up messes caused by the avoidable mistakes of overly confident, usually male, superiors. And frankly, they are sick of it. But like nurturing mother's or dutiful wives they show up, clean up, and calm everyone down. This action is not a solution. We need women to lead. The core problem is human beings are wired to give confident-acting people power. That is not going to change anytime soon, and that's a problem because women act less confident than men. Their humility is triggered by their neuro-networks that cause women to think holistically. They see the complexity of serious problems and tend to weigh decisions more carefully. They worry about unintended effects. They resist impulsiveness. They are less assertive and more collaborative. These are called wisdom traits and are exceptionally well-suited to lead in our age of increasing ambiguity and constant surprise. 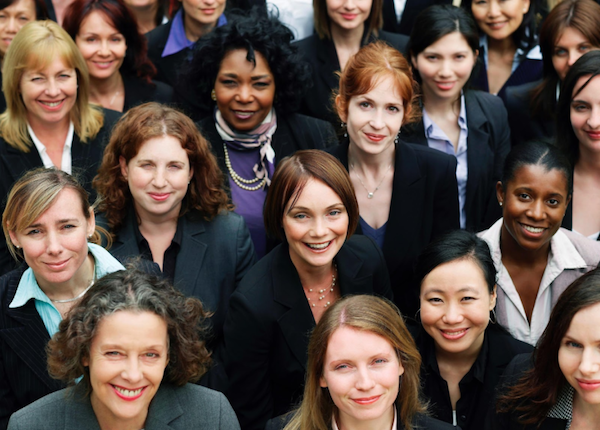 However, most of this female leadership power is lost because the very qualities that make women potentially extraordinary 21st Century leaders mute the outer displays of confidence and courage required to be given the reins of leadership. Male leaders are often both strong and wrong. And they get away with it. Research from the University of Pennsylvania confirms that men love making decisions. Male brains are wired for action. Most male thinking is linear and simplistic. That is increasingly dangerous in a complex world. Nevertheless, men are motivated to act with confidence. It establishes dominance, and that's a big drive because men are primarily motivated by power and status. Developmental psychologists tell us that watching boys at play is a pretty accurate reflection of how their brains are developing. Boys like combat that establishes hierarchies. Toughness and physical prowess are highly valued. Many anthropologists believe sports were invented to prevent young men from killing each other. And today, video games are the competitive substitute for sports in technology savvy boys who may end up being software engineers when they get older. Of course, neuro-research confirming what we observe watching boys grow up is no surprise. What's foolish is that we do not talk enough about the limitations of male thinking in a dangerous world. It's striking that we now have political leaders who express admiration for Vladimir Putin as a decisive leader. The fact that he is a murderous bully with nuclear weapons doesn't seem to deter their admiration. Our primal assumption that people who are confident and strong deserve to be leaders is a dangerous mistake. Isn't it crazy to admire strength in a leader for its sake? Strength without wisdom? Strength without morality? For thousands of years, the gender that is physically strongest has asserted its dominance. Men primarily lead virtually all institutions. And not just any men. Research from the McKinsey Global Institute reveals that competitiveness, confidence, and decisiveness are the path to power in hierarchical organizations. So the people at the top are in many ways the most aggressive and simple-minded. In fact, research published last year revealed that CEOs have the lowest amount of emotional intelligence than any other category of employee. Now I know what you might be thinking . . . Daniel Goleman, who is the researcher that made emotional intelligence a field of study, has said that emotional intelligence is more important than IQ in achieving success. It turns out to be a lot more complicated than that. It seems emotional intelligence is a driver for success in modern corporations only up to a point. It's true that people who move into middle-management and even attain the level of vice president have higher emotional intelligence than workers who are not given management responsibility. That's because when you're in the middle of an organization, the win-win behavior is essential to success because you're constantly negotiating with people for resources that you cannot order them to give you. However, as people break out of the pack to achieve the highest levels of senior leadership, they quit using empathetic neural networks. They don't have to think about your point of view. They can just command your compliance. It's not surprising that power feeds are narcissistic tendencies. This is dangerous because a narcissist's biggest advantage is something called negative empathy. This means they understand how you feel and use that knowledge to manipulate you. No, I'm not saying that all CEOs are narcissists, but I am saying modern organizations are designed to reward people who are highly competitive manipulators. I have found that they are often black-and-white thinkers, meaning they have a hard time dealing with uncertainty and complexity in a world that is increasingly uncertain and complex. What they love to do is make decisions. But, according to research from Ohio State University, at least 50% of business decisions are mistaken. So how do all these simple-minded CEO's keep their jobs? They seduce their boards of directors. Recent research confirms that confidence positively arouses our brains. People who assert themselves and their ideas forcefully actually stimulate adrenaline in our body and dopamine and serotonin in our brain. This is a powerful cocktail that tells us everything is going to work out fine. The strategy will succeed, the tribe will prosper, and we will be victorious over our enemies. Male brains, which have high-powered amygdala's, are especially susceptible to unsupported strategies of dominance. The technical term for this is "susceptibility to BS" or STB. It's why so many companies fail. Don't wait to lead for a future time when you feel more confident. Confidence is gained by acting confidently. You will probably never feel as confident inside as you must act on the outside. Your brain is wired for self-doubt and you will probably never silence the inner voice that is telling you to sit down and be quiet. You are probably wiser than most of the people in the room. They need to know what you think and why you think it. Communicate your strategic agenda. Men will assume you are a tactical thinker and problem solver. They are conditioned to see you as an aide to the general, never the general. So you must tie every goal you champion to a winning strategy that will ultimately lead to market dominance. No matter what your position, always state your current goals in the context of the big picture. Frequent smiling and looking people in the face communicate warmth. State and restate your reasons as to why your goals and priorities are vital to success. Men tend to state their objectives and assume others will just buy in and start working on them. This is a foolish assumption for men and a huge mistake for women. You have to market your goals as a product. What are the compelling benefits to your goals that make them worthy of the money and resources you need? You may think you already do these things, but I have found women's self-awareness of how they project power to be quite weak. Ask some men you trust how others perceive your leadership power. You may be surprised. There is a lot more to the success principles of women leaders, but these first three are foundational. Here they are in shorthand. You are well equipped to lead in today's world. You will always feel inner doubt. Dismiss that doubt and decide to lead. Develop and express clear, strategically relevant goals. Goals that will help your team, your enterprise, your customers, and the world to win. Campaign for your goals and agenda. Express clear reasons why your goals deserve attention and investment. Make waves. I implore you to do this. Men are not going to get out of your way because you deserve it. There have been no increases in the percentage of women in senior leadership positions of large corporations in the past ten years. This may prove to be fatal to our future. Without the wisdom of holistic, smart thinking women our future will be determined by men who admire bully-leaders . . . and that is just plain pathetic. So please rise. Speak up. And lead the change we so clearly need.